Today I took a Bike Repair Clinic on how to change a Tire. For the longest time, I wasn't sure what to do. Even watching a few YouTube Videos, I still felt very uncomfortable removing my tire and tacking this task. I'd rather bring my tire into the tiny shop around the corner and have them do it. 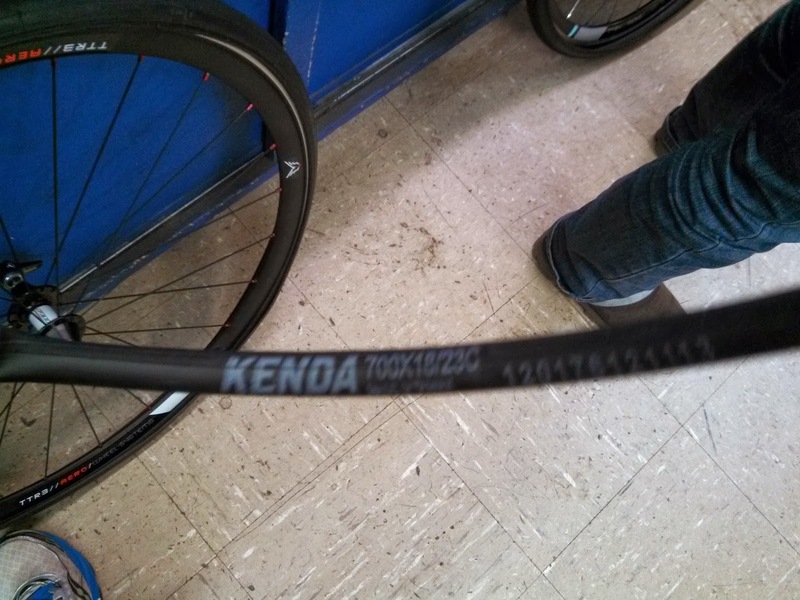 However, as I started my triathlon training, being proficient at changing my tire tube was an absolute and not an option any more. Otherwise these articles will be about walking instead of training for my Ironman. 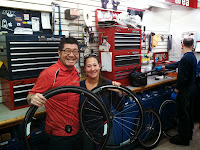 Around 10am I opened the door of Carl Hart, my local bike shop located in Middle Island, NY. Carl Hart Germany to a finally landing on Long Island. Current Owners are a Father and Son Team, Fred and Darren Feller. Well as I walked into the door, Darren was there to greet me and we chatted a little bit before heading to the back for the clinic. I also met up with Carrie, who recently got into triathlons as well. 10 people showed up with their front tires and stood around Brian, the head bike mechanic explain and give some hints about what to do when your tire goes flat. Who really wants to be stranded on a trail or on the road. Either you can change the flat or walk. Each one of us wanted to ride back from where ever we rode to. 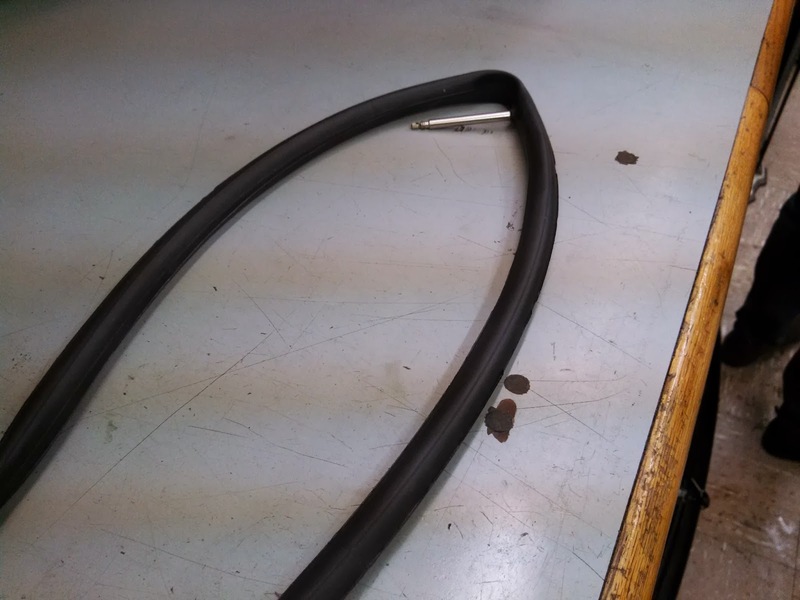 Anticipating the long training rides in my future, I wanted to make sure that if I ever get a flat that I was prepared to replace the tube. On race day, there will be bike support, but on everyday rides, I will be alone with my thought of "Damn it!" or "Yes, I know what to do!" First thing Brian had us do was to simulate the flat, so we all deflated our tires. From there we began to move the lever around the rim, so that one side of the tire would release from the rim. outside for any sharp objects that caused the flat. Be careful for any sharp things. Afterwards, inspect the rim tape, that covers the end parts of the spokes into the rim. If there are and parts exposed, you must cover them otherwise you will end up with a flat again. Once everything looks clear, you can grab your new tube and put a little air into it to give it some shape. It makes it easier to work with. You can use a tire pump or blow with your mouth. I opted to use my lungs for this clinic, and it was easy. the tube back into it's original home. Now it was time to push back the tire into position, by starting at the valve stem side and going around the both sides at the same time pushing the rubber on the tires with our thumbs over the side of the rim. The hardest part was the section furthest away from the valve stem. However with a little fiddling, everything was back into its original spot. 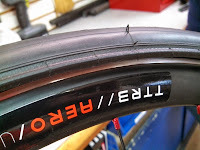 tube did not stick over any sides and was inside the tire, basically you can pinch the tire around to make sure the tube was in the middle of the tire before re-inflating. We all waited for the tire pump, and some used a CO2 cartridge for a quicker inflation. 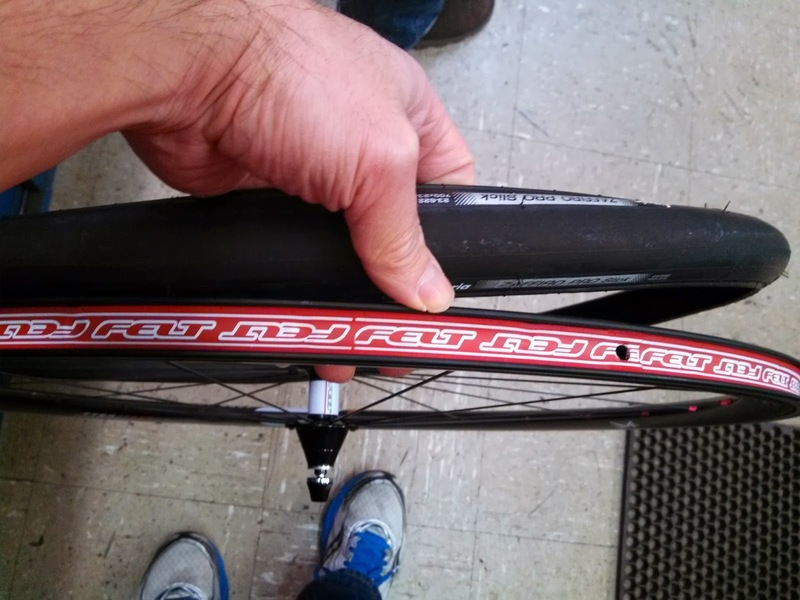 Basically you can use a mini pump, and it can take minutes to inflate the tire. With the CO2 cartridge, it takes seconds. Brian noted to slowly use the CO2 to make sure there are no bulges before completely inflating. What was once a scary action step has not been demystified! 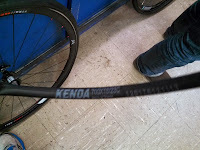 I recommend that you find a local bike shop and find out if they have any clinics. Happy Riding and see you at a Race!